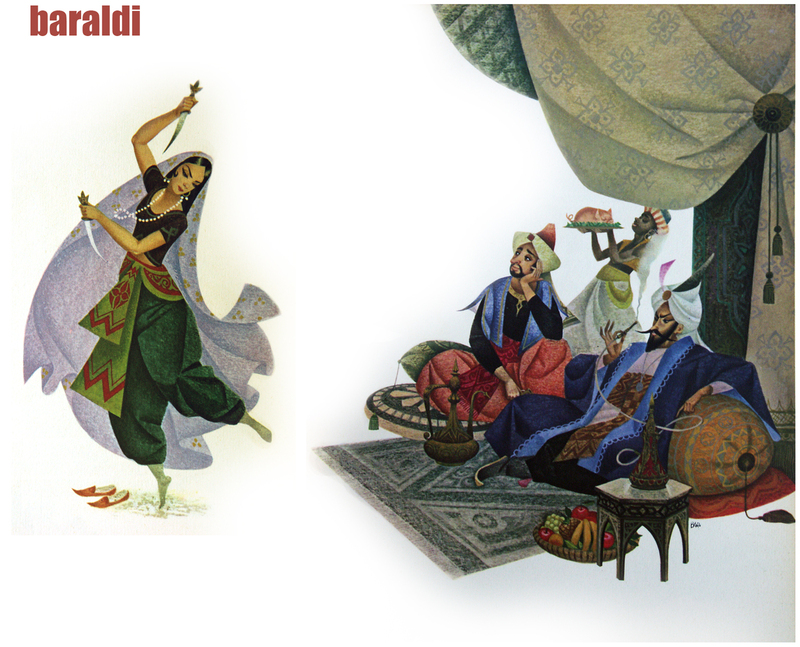 a while ago I posted illustrations of italian illustrator SEVERINO BARALDI. 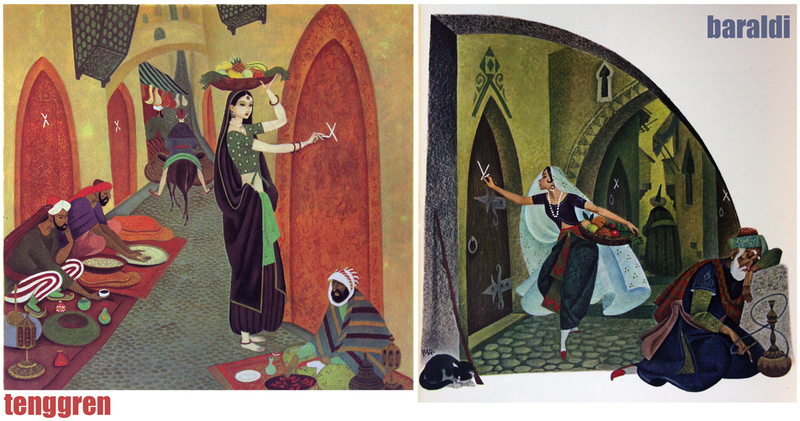 here is more of his work, a part of illustrations he did for the 1001 ARABIAN NIGHTS tales. 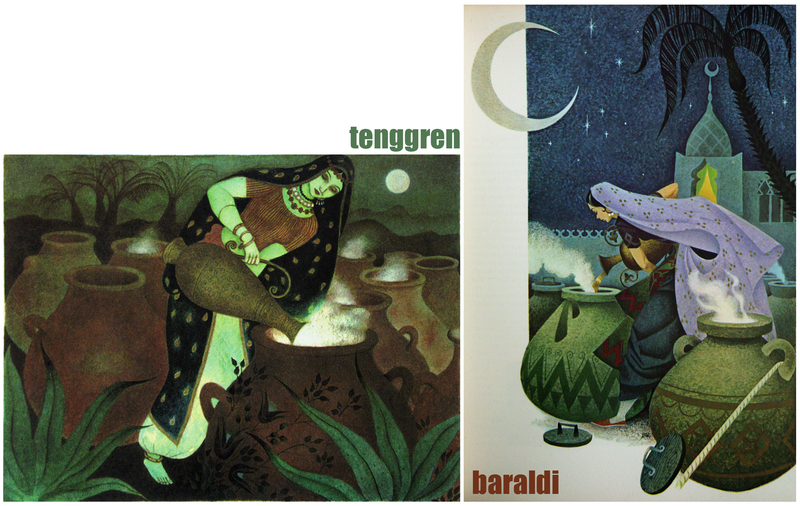 apparently BARALDI likes the work of swedish-american illustrator GUSTAF TENGGREN ( 1896 – 1970 ), because he is referring to his work. 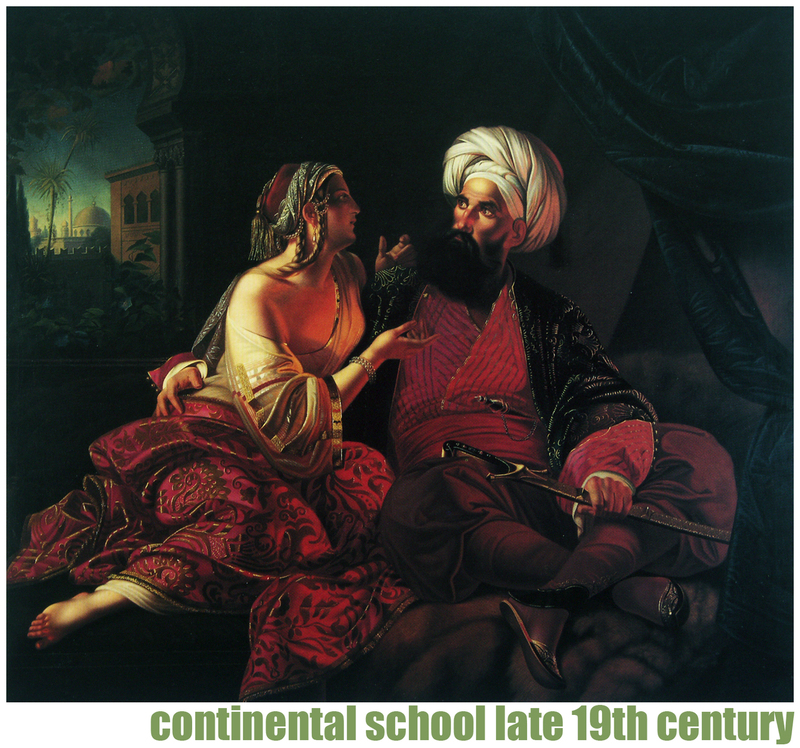 I start this time with a beautiful ‘harem’ painting from the CONTINENTAL SCHOOL late 19th century. 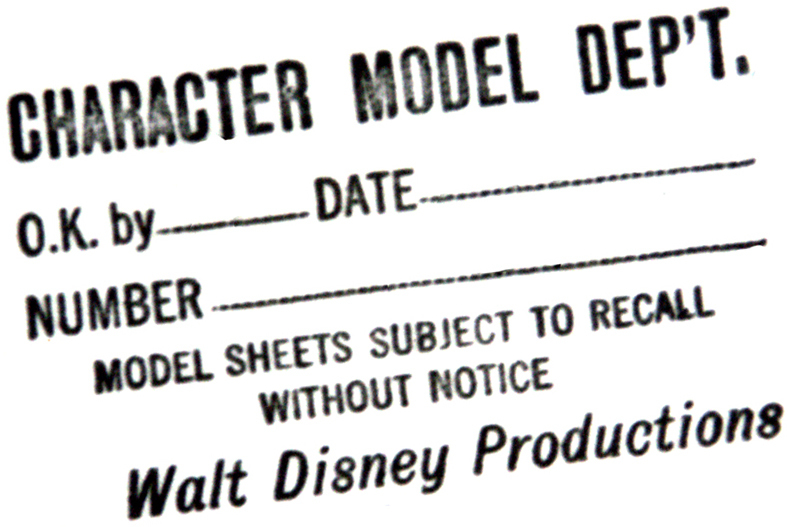 starting in the mid-thirties the disney studio had a CHARACTER MODEL DEPARTMENT. 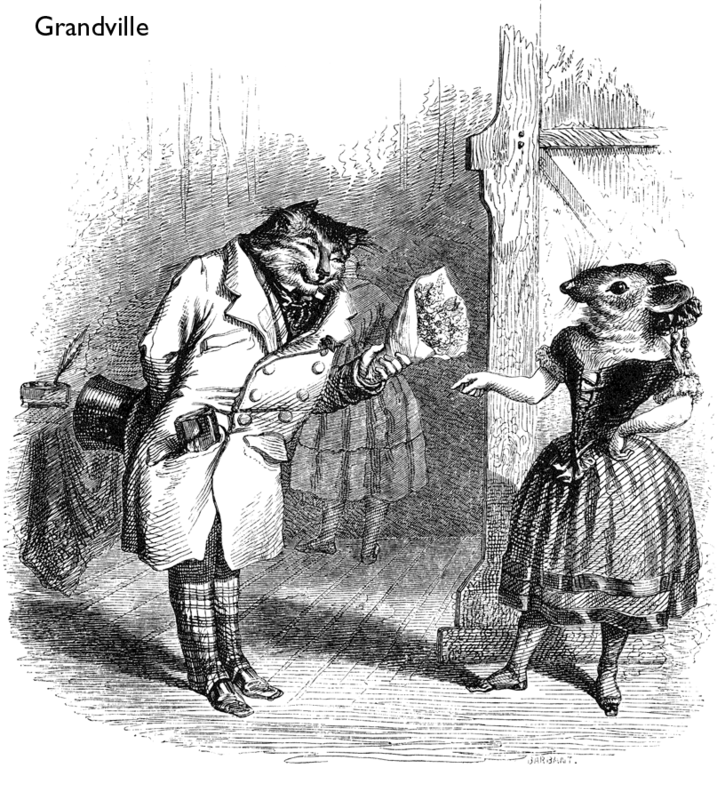 JOE GRANT was in charge of it. 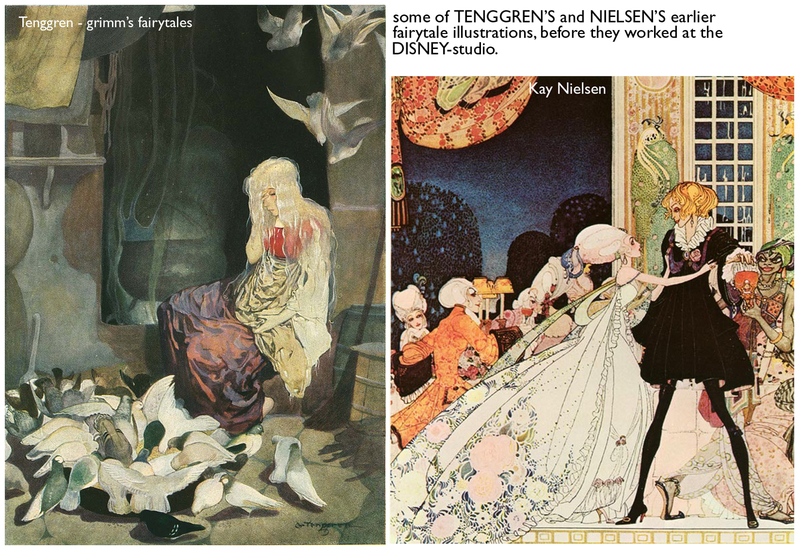 some of the artists in that department were – ALBERT HURTER, JAMES BODRERO, MARTIN PROVENSEN, KAY NIELSEN and GUSTAF TENGGREN. 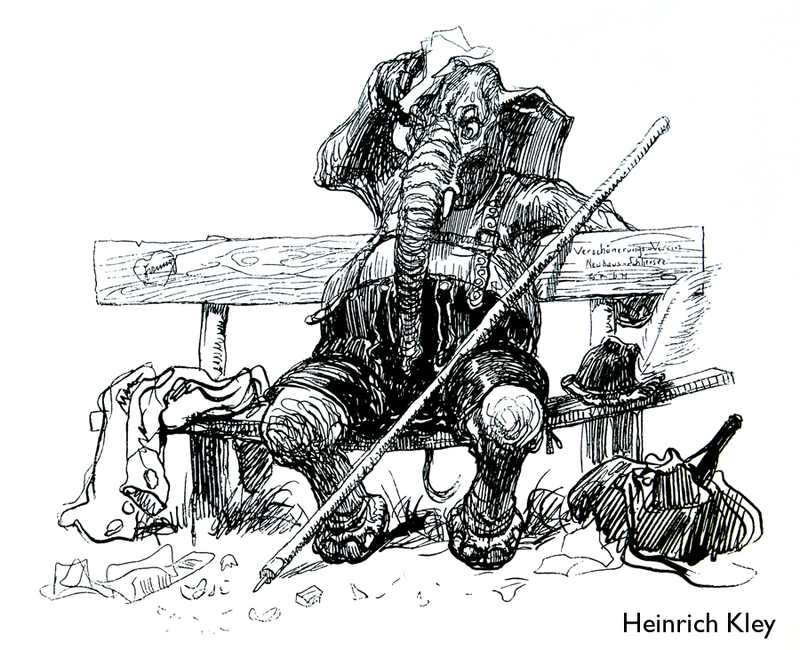 most of them were internationally well known illustrators. 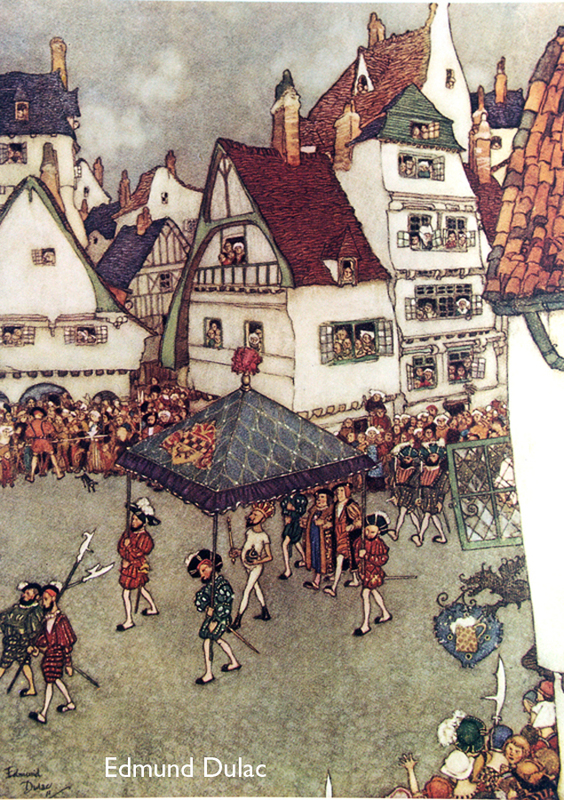 nielsen and tenggren had illustrated numerous books. 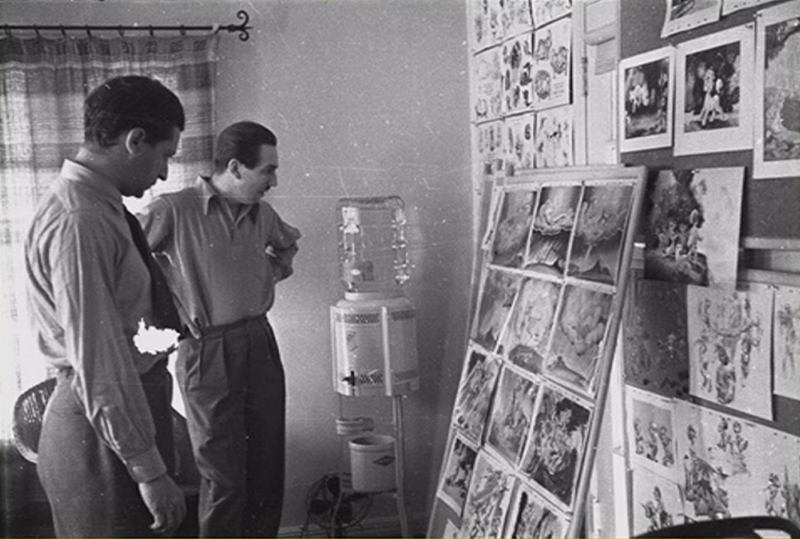 joe grant and his ‘think tank’ developed new story ideas, character designs and possible looks for future films. 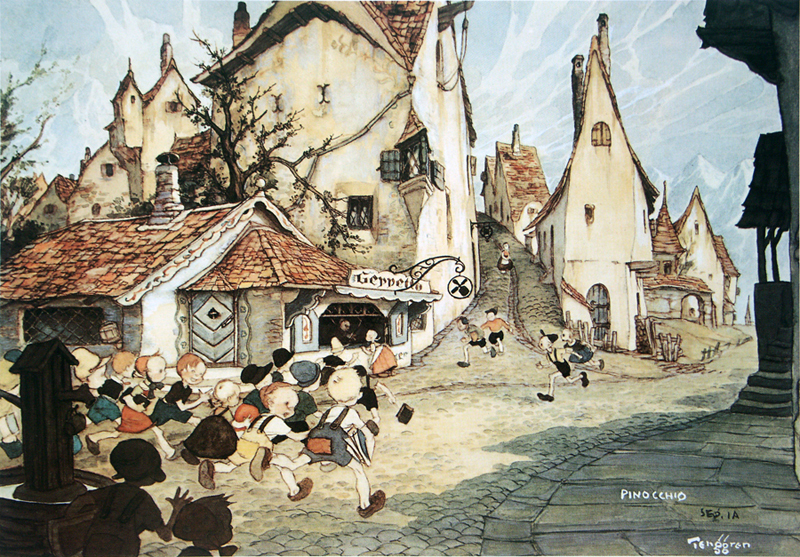 SNOW WHITE AND THE 7 DWARFS as well as PINOCCHIO are stylewise based on gustaf tenggren’s illustrations. 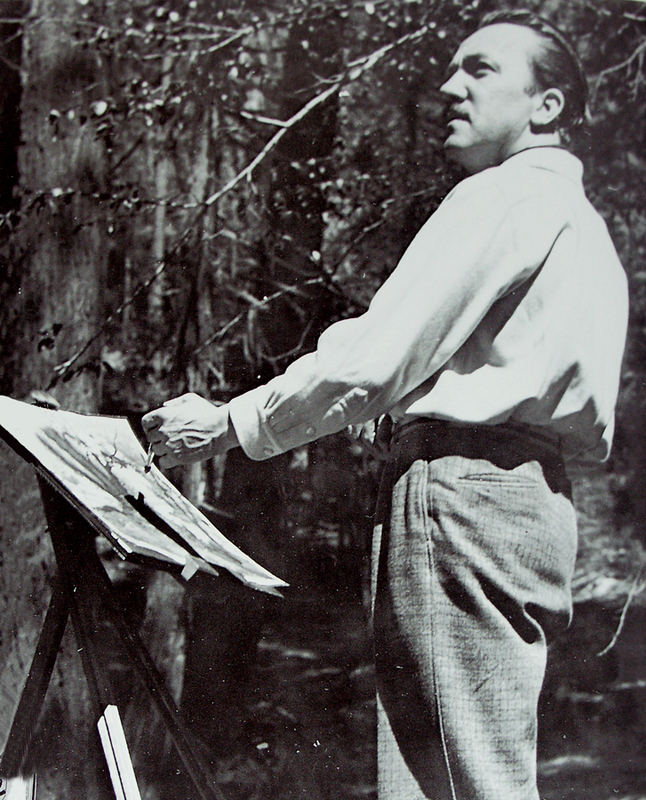 kay nielsen was involved in designs for FANTASIA, but did lots of sketches as well for planned projects – like RIDE OF THE VALKYRIES and THE LITTLE MERMAID. 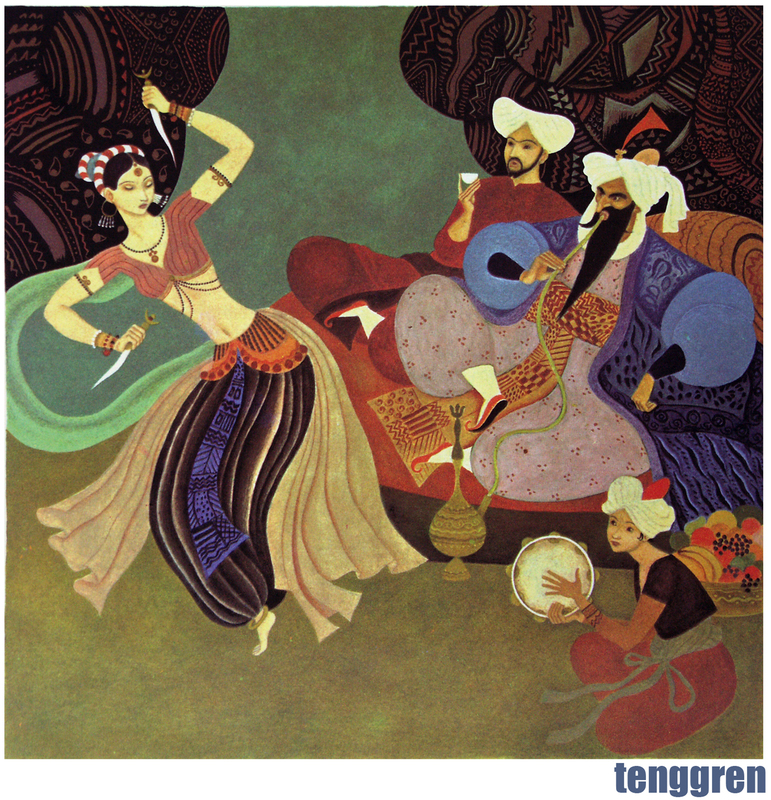 tenggren and the other artists were influenced themselves by some european painters and illustrators like – GRANDVILLE, HEINRICH KLEY, T.S. 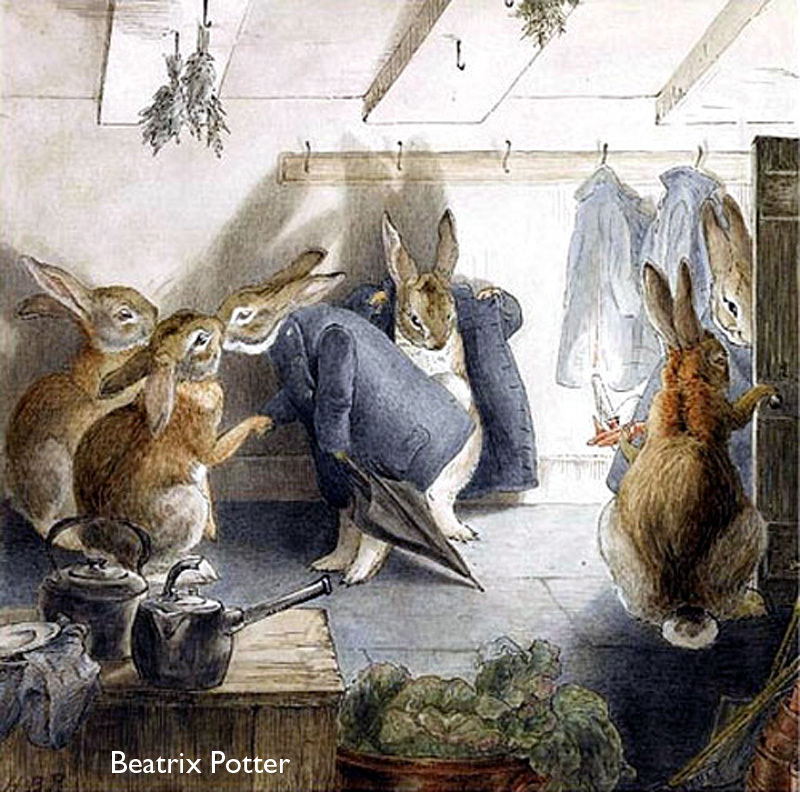 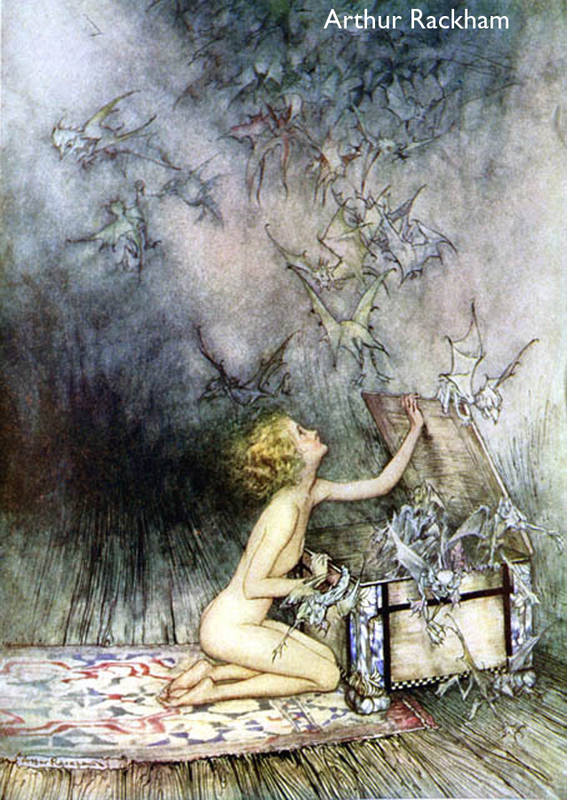 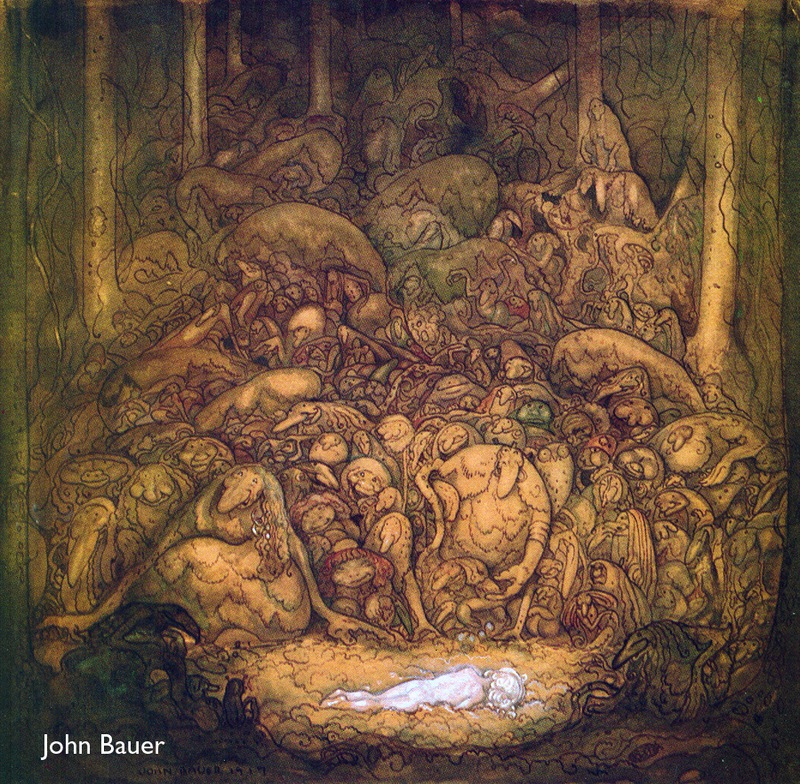 SULLIVANT, ARTHUR RACKHAM, EDMUND DULAC, CARL SPITZWEG, JOHN BAUER, LUDWIG RICHTER, GUSTAVE DORE and BEATRIX POTTER. 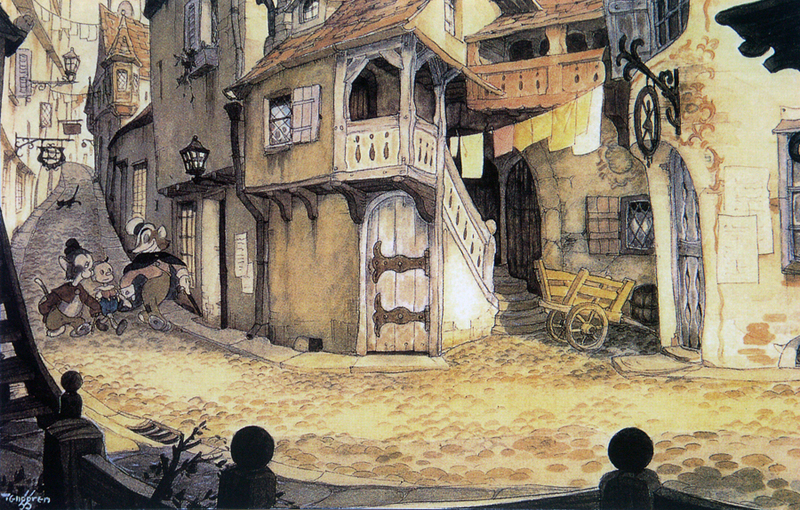 for the 200. post I have selected some of GUSTAF TENGGREN’S beautiful designs for disney’s PINOCCHIO. 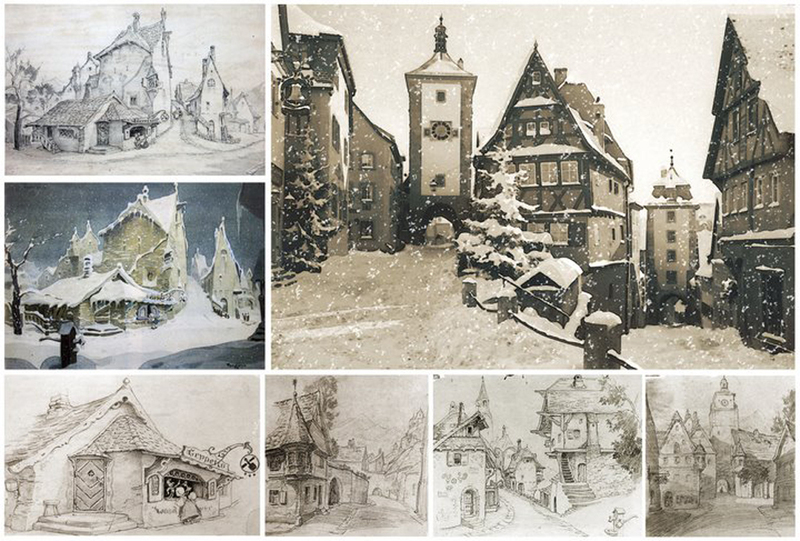 he got the inspiration for the village from the german town of ROTHENBURG. 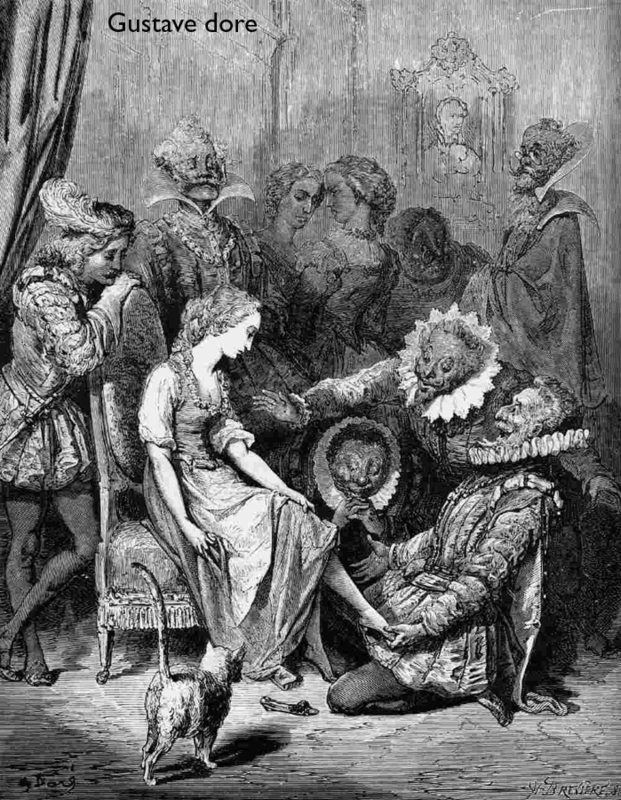 the opening of disney’s PINOCCHIO is very impressive. 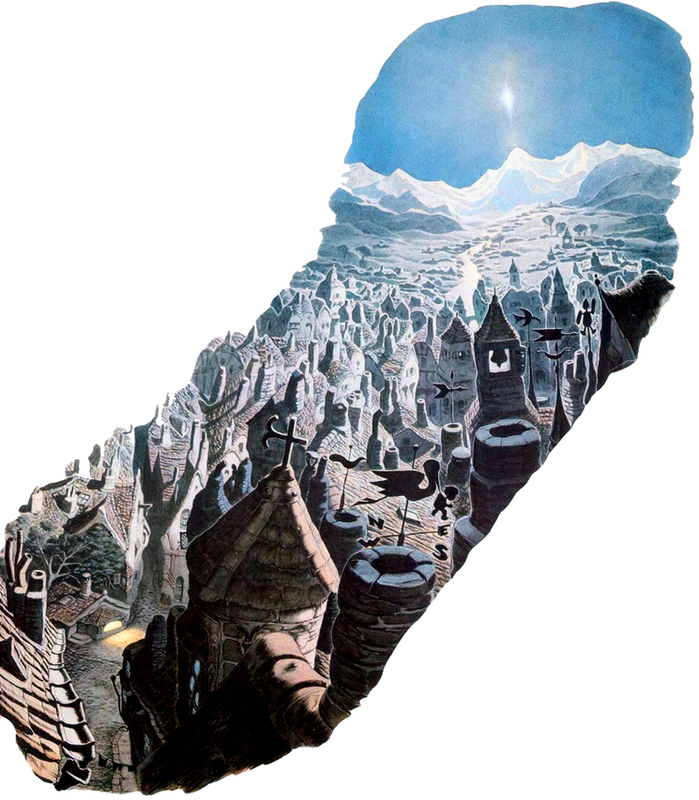 the camera starts with the big star in the night sky, pulls back to reveal some kind of german/swiss alps landscape, then pans over the half-timbered houses in a combined turning-camera-pan, to end finally in the middle of the small village next to gepetto’s house. 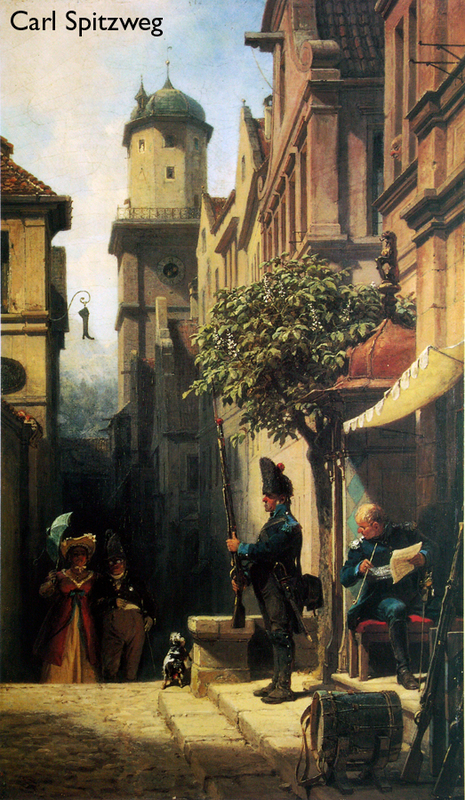 a masterpiece in planning, layout and painting. 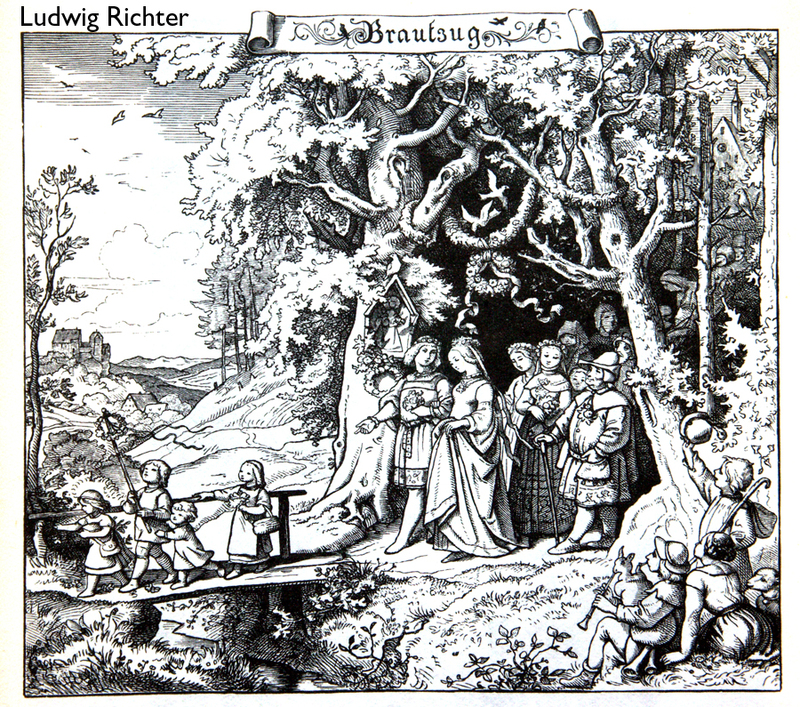 several multiplane layers add the feeling of depth. 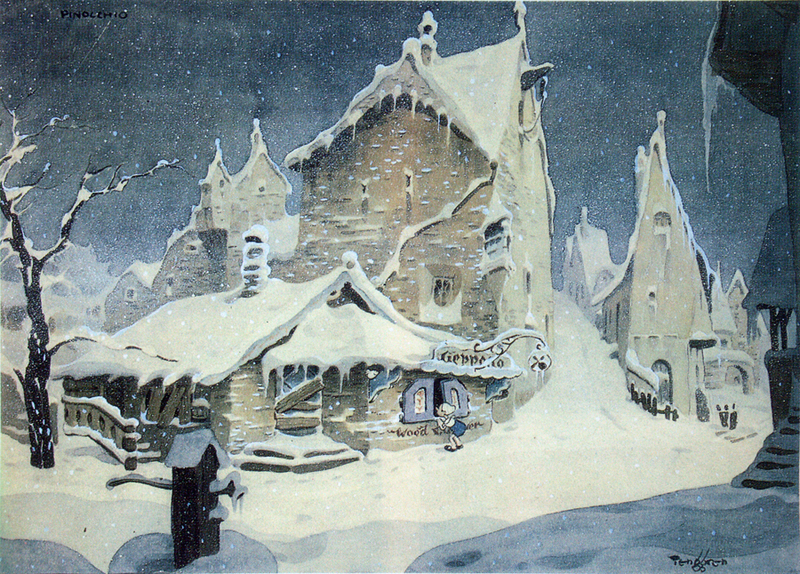 GUSTAF TENGGREN, the swedish children book illustrator worked at the disney studio from 1935 to 1939 and designed this set up amongst a lot of other visuals for shorts and feature films. 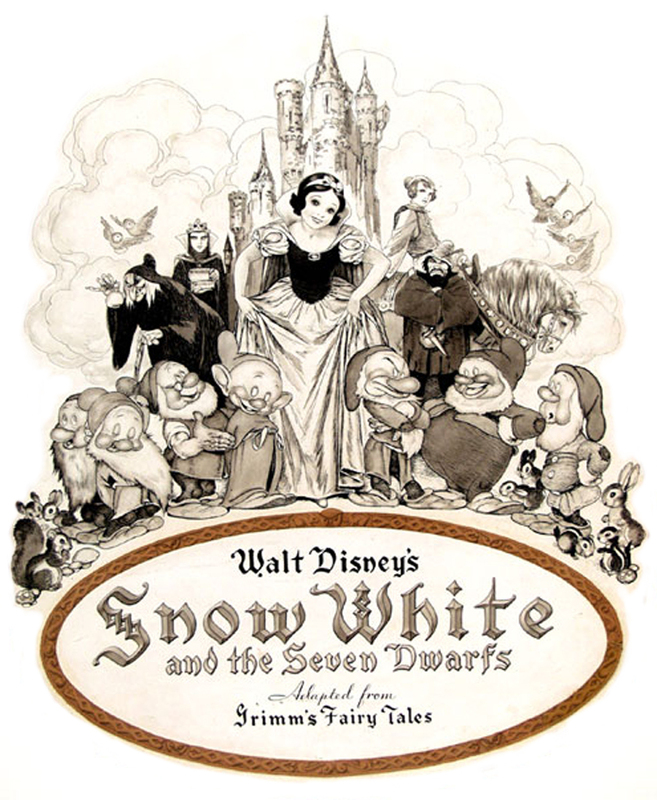 you can read more in JOHN CANEMAKER’S phantastic book BEFORE THE ANIMATION BEGINS. 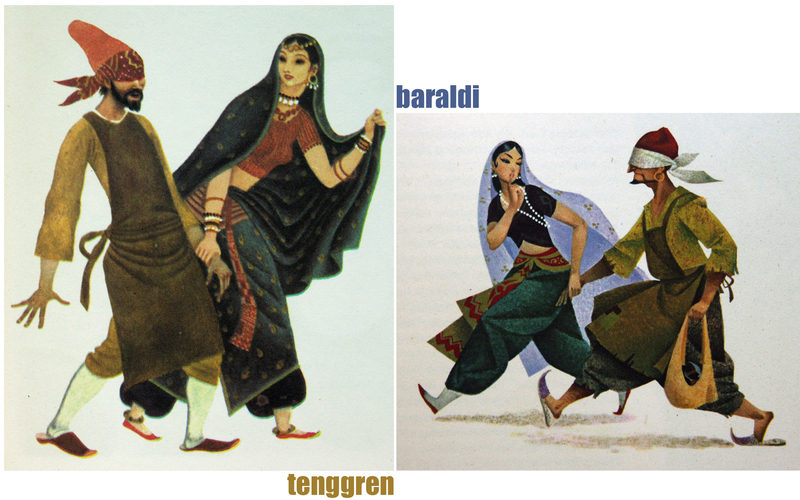 the photo of tenggren is borrowed from the book as well.